IBSAT 2017 Syllabus and Exam Pattern: Aspirants can able to download the clear and newly updated IBSAT entrance exam syllabus 2017 from our Examlevel web portal directly. There are several private websites are supplying the old ICFAI Business School Aptitude Test Syllabus 2017 in their web page, so you are advised to don't refer that website. If you are searching in the Google to download the IBSAT 2017 Exam Pattern, you are at the perfect website. You can able to download the IBSAT Syllabus and Exam Pattern 2017 in PDF file. Candidates can view their ICFAI Business School Aptitude Test Exam Pattern 2017 by the use of PC, mobile, Laptop etc.., Stay tuned with us. Aspirants are advised to keep their concentration in the important topics. Each and every candidates are encouraged to use the IBSAT Syllabus 2017 to improve their study preparation. If you are having any doubts regarding the IBSAT exam format 2017, you can comment the details briefly in the box available at the bottom of this website. We will contact you as earlier as possible to solve your queries. IBSAT is an online aptitude test conducted by The ICFAI Foundation for students seeking admission to the MBA \ PhD programs of IBS in all branches such as Hyderabad, Mumbai, Bangalore, Pune, Kolkata, Ahmedabad, Jaipur, Dehradun. IBSAT is a Computer Based Online Test and it consists of multiple choice objective type questions. 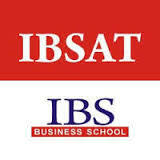 IBSAT is of two hours duration and it is aimed at testing the applicant’s ability in quantitative techniques, data adequacy, data interpretation, vocabulary, reading comprehension and analytical reasoning. NMAT by GMAC score 2016, GMAT score (from 2014 onwards) and CAT 2016 scores are also accepted in place of IBSAT 2016 score. Candidates with NMAT by GMAC, GMAT or CAT scores are exempted from appearing in IBSAT 2017. Aspirants must follow the topics found in the IBSAT 2017 Exam Pattern and Syllabus. You have to study every topic in it don't omit any section in the IBSAT 2017 Syllabus. If any changes arise in the IBSAT 2017 Exam Pattern, then we will update the details clearly in this web page itself. IBSAT 2017 Selection Process: Aspirants who have qualified based on IBSAT 2016 \ GMAT (2014 onwards) \ NMAT by GMAC 2016 \ CAT 2016 score are called for the selection process at ICFAI Business School (IBS), Hyderabad in February 2017. The selection process comprises of Group Discussion and Personal Interview.